Hi there! Just popping in for my weekly blog post, since I can't seem to get myself together this month to post more than once a week. The strange thing is I totally have posts lined up, I just cannot seem to sit down and write. NOW...being that it is almost 2017! Yep, you read that right. We are just two months away from the new year and I just cannot believe it. 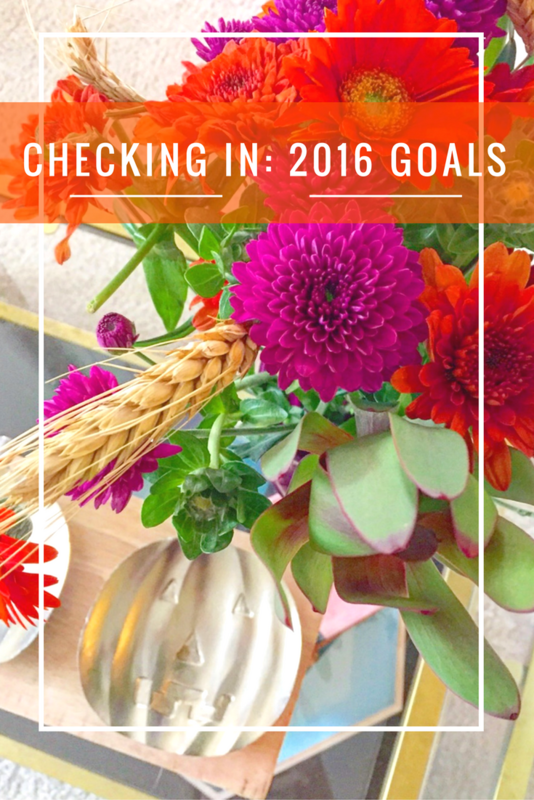 I realized that I have yet to check in with how I've been doing on my goals for 2016. So what better time to do so then two months before it's time to make new goals for the new year. [one] Go to church more regularly. Sadly I have failed miserably with this goal. There's no way around it, I've failed. It's probably gonna have to carry over into 2017. [two] Read at least 50 books. I am currently at 39 out of 50 books! I'm super confident that I'll reach this goal! I'm hoping to surpass it but thank goodness I've at least accomplished one of them! [three] Drink more water. I would definitely say I've drank a ton more water this year than I have in the past. I've made sure to have a cup that is specifically designated for water. At the beginning of the school year I bought one of those Ozark cups (aka the Yeti knock offs) and it has been the best thing ever to drink water out of. It stays cold all day long and I even refill it while I'm at school! WOO HOO! [four] Be healthier. This one has been so so. I've tried to be healthier and I can safely say I haven't gained a ton of weight this year. To be honest I've pretty much stayed the same weight all year round. I wish I had done better on this front this year, but I have a feeling this will be another goal that I carry over into 2017. [five] Keep blogging and go to a blog conference. Well, I for sure accomplished the goal of attending a blog conference. 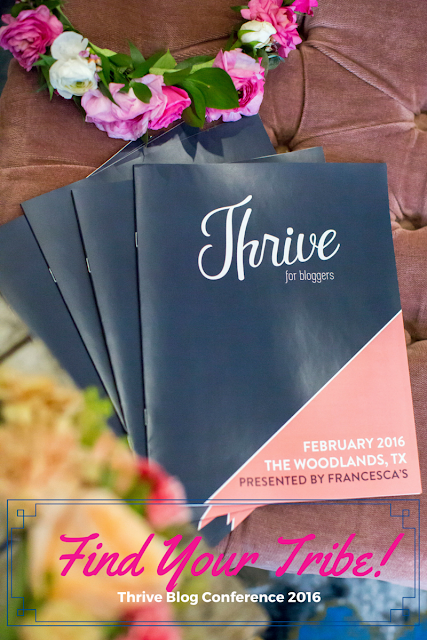 I attended Thrive here in Houston last February and had the best time EVER!! I cannot say enough about blog conferences. 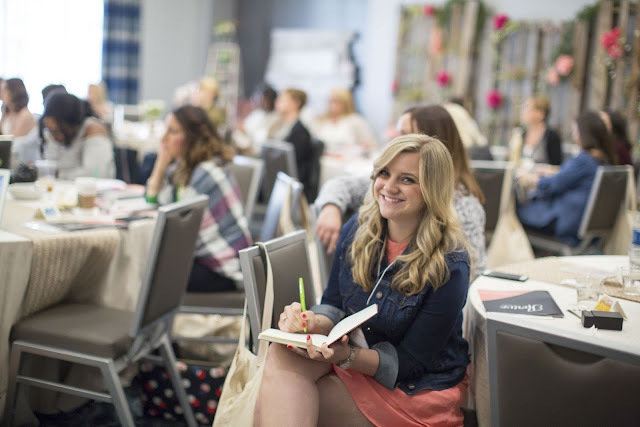 I learned so much and met so many amazing bloggers. I really hope to be able to attend another one soon. I would love to attend Thrive again this year but we shall see if I'll be able to in 2017! As far as blogging goes, I blogged way more in 2015 but I'm still super happy with the progress my blog has made this year. I've learned a lot about the blogging world, what blogging means to me, and why I blog! I love blogging and I definitely plan to stick with it into 2017! [six] Improve my photography skills. I completely forgot I had made this a goal! WHOOPS! I really have no idea whether or not I've improved my photography skills. I'd like to think I have. Before the end of the year I'll have to look at all my photos and see if they've improved. [seven] Wear more lipstick. This goal has 100% been accomplished. I've worn (and bought) more lipstick this year than I have in years passed. I'm finally comfortable wearing darker and brighter shades out in public. Now I don't always wear it but I can safely say I wear it at least 5 days out the week. (Even if I forget to reapply it during the day). [eight] SAVE MONEY. Failed. EPIC fail on this one. BUT....living alone has made me much more aware of my spending. I don't eat out as much now, plus it helps that I don't live in a place where I drive directly past Chick-Fil-A and Whataburger every night! But I'm hoping 2017 will see more success in this area and I think it will. (hopefully.) I might be able to save a little more by the end of the year but it will be no where near what I thought I'd be saving. Well there ya have it. Four out of four isn't bad if you ask me. I wish i could say that I accomplished all eights goals but hey, I'm human. I'm looking forward to 2017 and writing brand new ones. How have you been doing on your yearly goals?! It's so crazy that the year is nearly over, it seems like it was just the start of 2016. I can relate to so many of your goals, especially going to church more frequently, drinking more water, and just eating healthier over all. I had some really good blogging months this year and then some where I hardly blogged at all. So one of my 101 in 1001 was to wear more lipstick too, and I'm so glad that we were both able to knock that one off our list! I'm also super notorious for not reapplying throughout the day. And I bet that you can totally knock off the other 11 books between now and the end of the year! You'll have a nice long Christmas break to read some more right before the end of the year! It's crazy to think that it's almost 2017!